How does it feel to be a finalist in the National Amazon award for Triumph over Adversity? It feels fantastic. This is validation really that what we decided to do has worked. I think it is good for everybody involved and all the hard work we have put in has actually been worthwhile. 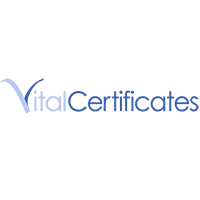 Can you explain what Vital Certificates Ltd do? Our core business is to take documents that have been issued in one country and do what is necessary to make them valid and usable officially in another country. When people go to work or study abroad they often have to have documents such as birth certificates or academic qualifications officially validated. The process essentially involves joining up different government departments from the governments of different countries via their embassies and foreign offices. The value that we bring is to essentially understand what is needed to take a document of type X that’s been issued in country Y, and make it useable in country Z. We can provide this process not just for the UK, but for most countries worldwide and, as you can imagine, it can be a bureaucratic minefield. We have a group of partners around the world that assist us with the preparation of non-UK issued documents. By virtue of having developed that worldwide network and global reach, we can do some things that we could never have done before such as taking an Australian document and making it usable in Argentina for example. Our customers include individuals but are increasingly companies, some of them very large, that move people around the world frequently. What do you feel got you to this point? Determination to not let challenges get on top of us and to be very focussed on what it is we do. We decided a few years back to focus our efforts on the elements of the business that represent is higher value both to us and in value to our clients. We also decided to open up a direct sales channel and to open branches overseas in Dubai, and soon in Qatar and Kuwait, despite the risks that decision represented. I think all of these combined have really elevated us above the competition. We also really enjoy what we do – we have had cases where we have stopped people being thrown in prison or thrown out of the country! We also realised that the quality of what we did was paramount given the nature of our work so we’ve focussed on improving that service to our clients by making sure we have the knowledge to deliver it consistently and by keeping them informed throughout the process. We developed our own software system which automatically updates the client as their documents move from one stage to the next. We have received feedback from clients to say that this is the thing that really helps them because they know things are progressing. What are the essential ingredients which enabled you to overcome the difficulties you faced? 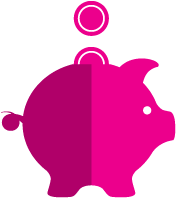 It’s that client-focussed professional service and also putting strong emphasis on the financial stability within the business. That’s meant we have been able to grow and invest for the future and that’s been a real game changer for us. We were very much living from day to day, like a lot of small businesses do, and about a year ago we made some very significant steps in bolstering the quality and people involved in the business on the finance side. This has had a really positive effect and has given me fewer sleepless nights! You’ve been working with your part-time FD for 8 months now. 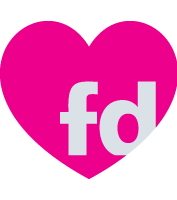 What was it that attracted you to the idea of a part-time FD? Well with a business of our size, it would be hard to justify having a finance director full time. They are not the cheapest of resources but, they can bring a lot of value. Given the size of our business which nevertheless has its own complexities , having somebody part- time who understands the business and where we want to get to seemed very appealing .Also having someone who we can call on when needed is really beneficial. 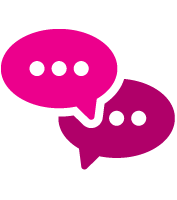 It also helped us to establish what we needed internally from the financial function and Mike was instrumental in assisting us to hire a new finance manager because he knew what questions to ask and what we really needed All in all is working out really well. 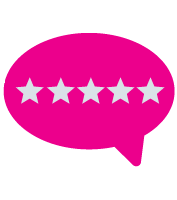 Lastly as a National Amazon Award finalist and client of the FD Centre what advice would you give to other growth businesses who are considering taking on a part-time FD? I think if you are considering it then do it! It might appear to be just a drain on cash, but the fact is that if you have somebody who really understands you and your business they can improve things like cash flow, your access to financial products and many other aspects that actually deliver returns For the business. I would say go for it, I think we went in to it as early as we could afford and I think everybody should do the same! (unless perhaps the head of the business has come from a finance background and effectively is the FD). If you haven’t got that person providing that function within the business I think you are doing yourself a disservice. People don’t know what they don’t know so surrounding yourself with people with other areas of knowledge and experience fills in the gaps which in turn ultimately leads to a positive benefit to the business.